Two teenage girls have been in court arising out of an alleged assault on police in Magherafelt town centre earlier this year. 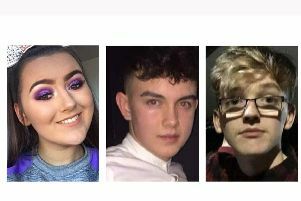 Before the local Magistrates Court was Shannon Johnston (18), of Tulach Way, Magherafelt, is accused of assault, resisting police and disorderly behaviour. The other defendant, a juvenile, is charged with two counts of assault on police, resisting police, disorderly behaviour, and unlawful consumption of liquor while a minor. The alleged offences were committed in the Meeting Street area of Magherafelt on May 21 this year. Deputy District Judge Brian Archer released Johnston on personal bail of £100 until her next court appearance. He released the juvenile into the care of a social worker. Mr Stephen Atherton, solicitor, represented Johnston.